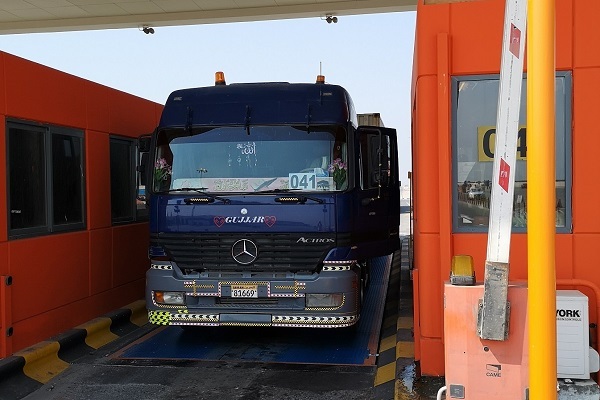 APM Terminals Bahrain, the operator of Khalifa Bin Salman Port (KBSP), has installed three new weighbridges at the kingdom's prime port at Hidd, as part of its plans to streamlining its operations. The company's investment in the three new weighbridges is aimed at enhancing its VGM (verified gross mass) service offerings. It comes as part of APM Terminals Bahrain's continued efforts to upgrade the KBSP infrastructure and provide increased efficiency and sufficient capacity for future export growth. The new pit-mounted weighbridges, includes a combination of fully and semi-automated weighbridges which will be located at three different points, that is two in the weighbridges at the entry gate and one at the weighbridge inside the container terminal. This will be in addition to the two manually-operated weighbridges currently operational at the terminal. The new weighbridges are expected to ensure uninterrupted truck flows with streamlined operations. This will also enable container trucks to have smooth and safer access to the weighbridge at road-level. They will be linked with the KBSP’s terminal operating system to automatically provide a VGM record for the container thereby reducing costs, risks and delays for customers. All trucks entering the terminal will have to be pre-registered and will be supplied with an RFID card by APM Terminals which the truck driver is required to swipe on entry and exit enabling generation of VGM. Furthermore, digital loads cells have been installed on the new weighbridges to improve weight accuracy and minimal maintenance, thus enabling exporters to perform double transactions reducing the overall waiting and queuing time by trucks inside the terminal.